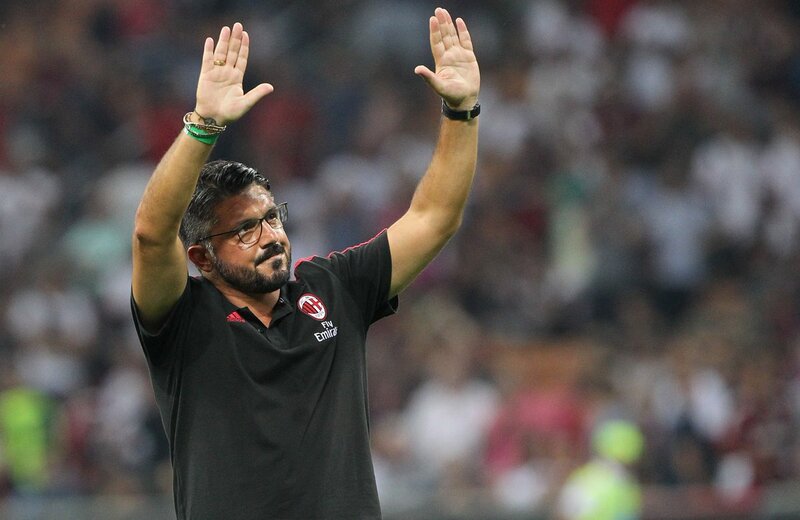 Gennaro Gattuso heaped praises on his boys for recovering from a tough position in the recent home game against Dudelange. AC Milan had a fantastic beginning to the game as they took an early lead, but not only did they concede the leveler later, they shortly conceded a second goal as well which reduced them to 1-2 and put them under some serious pressure. But the hosts displayed skills of very high level after that and were also helped by some luck going their way as they were gifted two own goals. They found the net twice themselves and in total, registered 4 goals to their name after the half-time break. The final-scoreline read 5-2 as Milan almost secured their qualification to the Europa League pre-quarter final round with that victory, with Harrah’s race & sports book now making them odds-on to qualify, and only 3-1 to win the tournament outright. Gauttuso admitted Dudelange was able to shift the momentum with the leveler and a bit of fear factor crept in Milan’s camp after that goal. But the Rossoneri realized soon enough they need to do things right on technical front to bounce back and they did exactly that. “After the equalizer, a bit of fear took over. Dudelange were able to give us difficulties.” Gattuso was quoted saying by Goal.com. “But the important thing was to win. At 2-1 down, the team reacted well and we pushed on the technical level.” Gattuso added. Milan has to play their last group game against Olympiacos (who they already beat in October) and they just need to make sure they earn a draw from that game or even if they are beaten, they need to make sure they are not beaten by a big margin. For Olympiacos to be able to displace Milan from the second position in the group, they not only have to win, but have to win by a margin of more than one goal. A one-goal victory is not going to be sufficient. AC Milan have been struggling in Serie A this season, with a rejuvenated Juventus having taken the league by storm so far. The current Champions strengthened their squad with the acquisition of former World Player of the Year Cristiano Ronaldo, and have won 13 of their first 14 games - with their one draw a blot in their copybook. By contrast, AC have won 7, drawn 4 and lost 3 - leaving them 15 points behind already with just over a third of the season gone.